Home of the Kamilaroi people, incorporating Quirindi, Werris Creek, Willow Tree, Premer, Spring Ridge, Currabubula, Wallabadah, Pine Ridge, Mount Parry, Ardglen, Caroona, Walhallow, Tamarang, Colly Blue, Bundella, Yarraman, Blackville, Old Warrah & Piallaway. Strategically nestled in the foothills of the Great Dividing Range, near Sydney, the Central Coast, the Hunter and the Mid-North Coast, Liverpool Plains Shire is the perfect place for that well deserved vacation. A mosaic of colours displayed by the fields of sunflowers, sorghum, canola, corn, lucerne and wheat provide the perfect backdrop whilst travelling through the picturesque hills, valleys and sweeping plains. Come reside in the Liverpool Plains and see why the locals are so proud of their flourishing communities. Experience the true rural lifestyle, friendly country charm and spoil yourself at our unique specialty shops and eateries – you can’t go wrong settling in the Liverpool Plains. With the downturn of coal prices over the last three years and the contrasting rise in Sydney property values, places like the Hunter Valley have been easy targets for property commentators to hand out a belting to. These same people either suffer from short memories or selective hearing for it wasn’t that long ago when regional locations like the Hunter were flourishing while most capital city property markets were floundering. When we combine average annual changes in median property values with rental yields to calculate a ‘ total return’ over the last fifteen years, property markets of the local government authorities (LGAs) within Hunter Valley actually outperformed all of Greater-Sydney’s 43 LGAs and 29 of Greater-Melbourne’s 31 LGA’s. Cessnock (ranked 77 out of Australia’s 550 LGAs) was the Region’s best performed market. Also amongst Australia’s Top 40% were the LGA’s of Maitland (134th ), Newcastle (175th), Singleton (209th), and Muswellbrook (220nd). From the onset of the GFC in late-2008 through to the end of 2014, even with the coal industry downturn factored in, Hunter Valley property markets have still compared favourably against all capital city markets with the exception of Sydney and Melbourne. 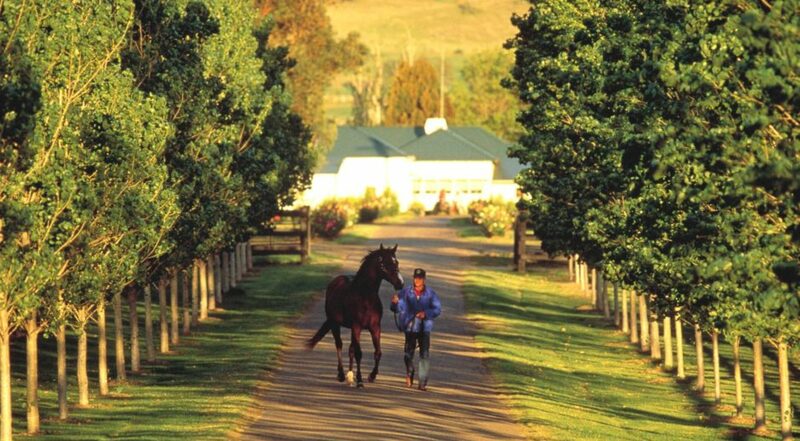 The Hunter Valley is a large region with a population approaching 700,000 people. The diversity of industries within the region are arguably the most interesting in Australia. With different property entry prices, rental yields, and industry drivers, there really is quite a contrast between each of the markets within the Hunter. Newcastle is heavy industry with some big manufacturers such as Boeing and BAE, plus Australia’s premier fighter jet base. Some of the largest reserves and best quality coal in the world is produced in the Upper Hunter and exported from the world’s largest coal export terminal at Newcastle to places like Japan, Korea, China, and Taiwan. Newcastle has the infrastructure and economic profile of a capital city, a median house price of $475,000 and rental yields of circa 4.5%. On both a capital growth and rental return front, Newcastle has better investment potential than Greater-Sydney however, there are better locations elsewhere in Australia. With median house prices in the low $400,000 and 4.5% yields, Port Stephens and Lake Macquarie are very much lifestyle locations and aren’t ever likely to set the investment world on fire. Maitland is also a largish regional town (population 75,000), very good quality retail and business services, a median house price of $400,000 and 5% rental yields. There is a bit of new supply in the pipeline, including a large Huntlee estate, which has the potential to keep a lid on growth for some years yet. The rich agricultural land, plentiful water supply, and rolling hills creates the perfect cocktail for wineries, tourism, and agriculture. Cessnock (winery country) has a median house price circa $300,000 and yields of 5% plus although employment can be patchy. The coal mines are in the Upper Hunter. There is a much higher quality lifestyle component and greater diversity of industry to Hunter Valley mining compared to the coal fields of central Queensland. Singleton has a significant military base and Muswellbrook is horse stud country, manufacturing, and tertiary education facilities through the local TAFE. Median house prices and rental yields in Singleton and Muswellbrook are very similar to Cessnock however, I feel the potential for investors over the medium to long term is slightly better. Contrary to perceptions, employment growth has been steady in Hunter Valley over recent years. Middle-Upper Hunter had a net loss of jobs in 2013 and 2014 and then rebounded in 2015, as shown in our chart. The industry diversity and lifestyle components helped to cushion property prices in the Upper Hunter from large falls in values as the mining industry workforce retracted with falling coal prices. Property prices in Australia’s coal-related markets peaked late-2012 and, since then, values in the LGA of Isaac (which consists of Moranbah and Dysart) have declined by 64% whereas Muswellbrook has experienced a very mild 9% decline. Some of the largest companies in the world have invested billions of dollars in Hunter Valley. Coal is easily the World’s biggest source of electricity and is likely to remain that way (at least) for several decades. What many people don’t realise is that the BHP’s of the world have been extremely active behind the scenes with several mining expansion applications in the Upper Hunter over the last couple of years. While mining company revenues (coal prices) have come under pressure they have been very successful in reducing expenses (especially labour costs) and it is apparent that they are lining their ducks up to be ready to move as soon as the coal price curve turns again (we are much closer to the bottom than the top). I recently purchased a property in the Upper Hunter for my own portfolio. I’m not anticipating spectacular growth in the short term however, there are very few locations throughout Australia that are set to roar right now. I’m a huge believer in selecting locations for their fundamentals and buying while the market is flat. This philosophy has enabled me to purchase the pick of the litter with this fully renovated 3-bedroom house for only $248,000.